1. Melt the black chocolate on water bath. When it’s already melted, take it aside. 2. Add the cream to the melted chocolate and cover with a plate or aluminium foil. Let it stay for 3-5 minutes. Then stir the mixture until it gets smooth and homogeneous. 3. Move the mixture into a shallow pan and cover with foil. Put it into a fridge camera/freezer for 2 hours. 4. Take out the already hardened mixture and start shaping truffles from it. 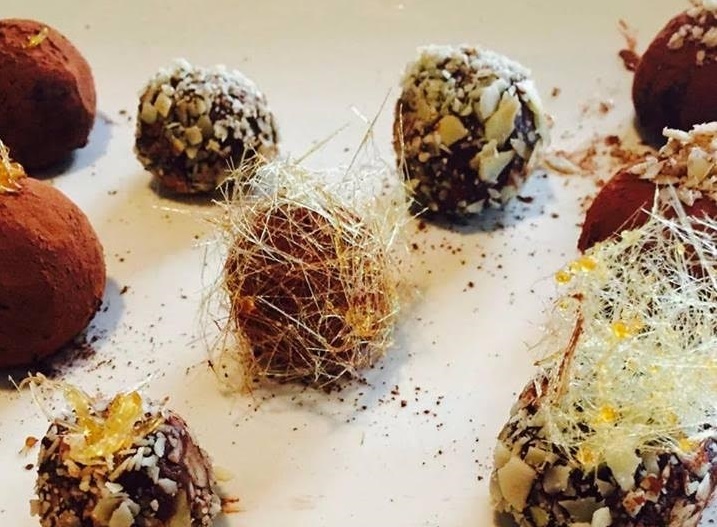 Roll each truffle into cocoa, nuts or coconut flakes.